107. Gallup, Donald. 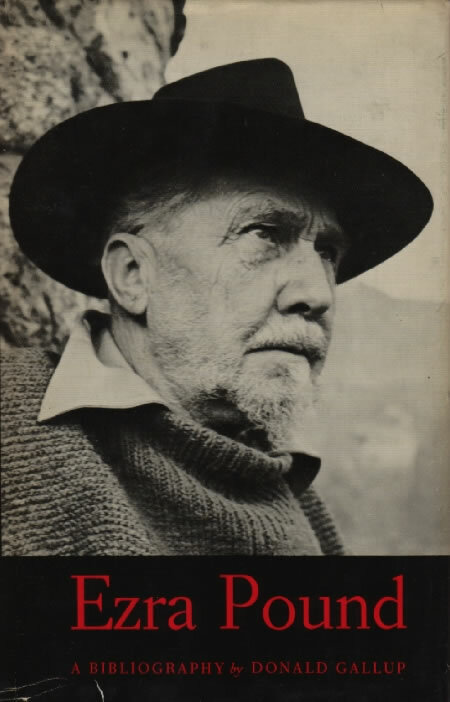 A Bibliography of Ezra Pound. 1963. Revised and enlarged as Ezra Pound: A Bibliography. Charlottesville, Va.: UP of Virginia, 1983. The standard Pound bibliography provides further publication history and bibliographic detail for many works noted in this study. Updated in Gallup and Archie Henderson, ‘Additions and Corrections to the Revised Edition of the Pound Bibliography’, Paideuma 12 (1983): 119-25.